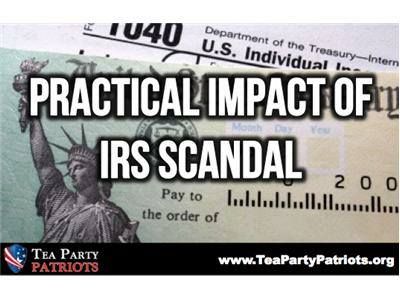 With the IRS Targeting of Conservative groups and individuals being exposed, we will look at the practical impacts. 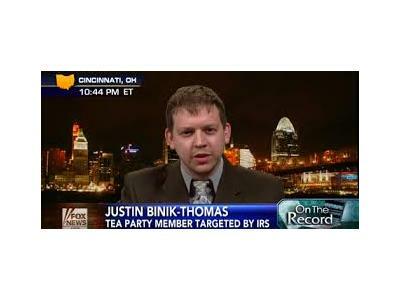 Could the IRS holding back on tax-exempt status for Tea Party groups and Conservative contributors been a large factor to what some believe as the decreased activity and influence of the Tea Party on the 2012 Election? Will the exposure and the increasing over-reach and abuse of government power on We the People ignite the Tea Party Movement to a level greater than it has seen in 2010? What will the scandal mean for the upcoming 2013 elections? What does the scandal demonstrate on how the IRS will use Obamacare? The abuse of power does not stop at the IRS, but goes into the ranks of the government itself and our so-called representatives. Please join us. America needs YOU. It will take a peaceful and massive rising of the Grassroots to ensure that the "government of the people, by the people, for the people shall not parish from this earth" under the weight of intimidation by those who took an oath to represent us and uphold the Constitution. Bards Logic Political Talk is the Grassroots, We the People Show.